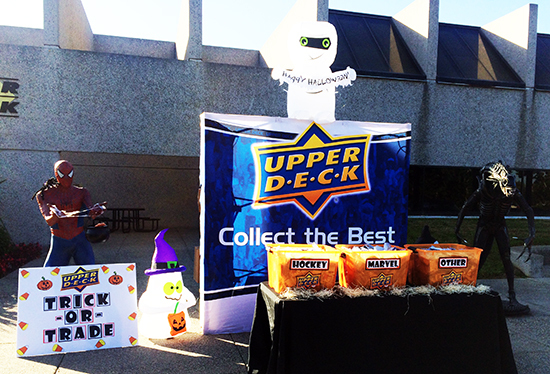 Trick or Trade: Upper Deck Makes this the Season of Giving with Ramped Up Charity Efforts! 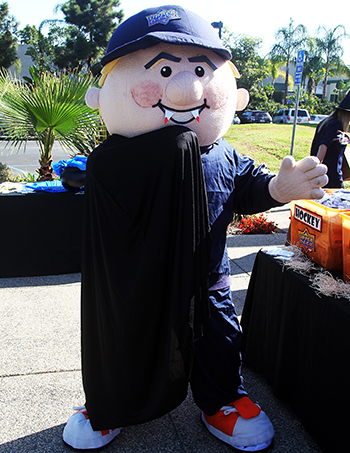 Most collectors know Upper Deck’s mascot Coach Cardman, but every October he transforms into, “Coach Cardcula!” The Coach was an instrumental force in helping Upper Deck remain at the forefront of charity efforts in the sports card & collectibles category over the last week! Our efforts are also designed to engage kids and cultivate the next generation of collectors. 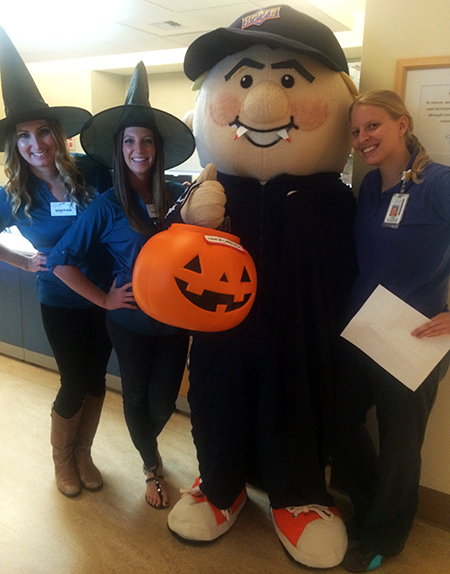 Upper Deck staff accompanied Coach Cardcula to Rady Children’s Hospital to bring some smiles to kids and their families. We were escorted by a very friendly nurse from room to room where Coach entertained the kids and shared ample amounts of their favorite Upper Deck packs with them. 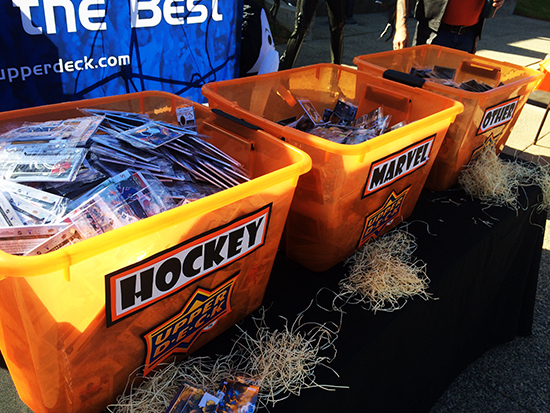 It was awesome to bring see the excitement on the kid’s faces as they opened packs or played Upper Deck Marvel games. 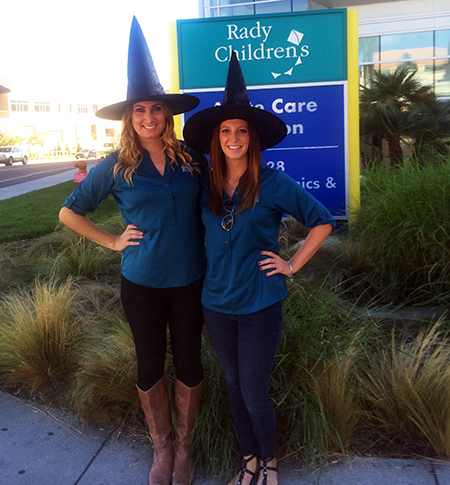 Two good witches from Upper Deck cast good spells at Rady Children’s Hospital making Upper Deck packs appear for kids! Coach Cardcula was excited to give packs out to the kids! 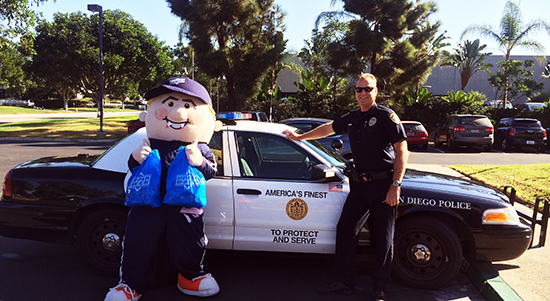 Rady staff helped UD delivers tons of packs to excited kids while Coach Cardcula entertained them! 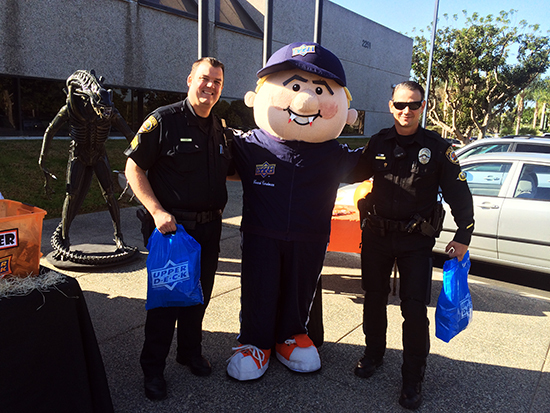 Next up was Upper Deck’s always popular Trick or Trade event where the company donated thousands of packs of cards to local law enforcement. 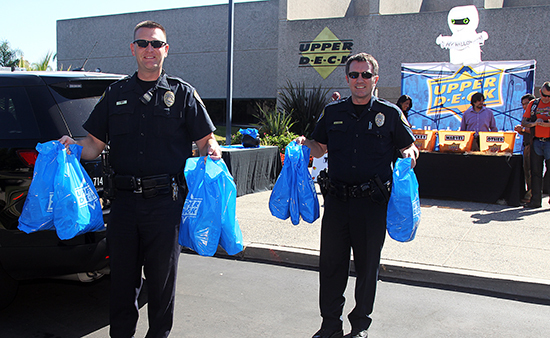 Police departments from all over San Diego County converged on Upper Deck to pick up complimentary packs to share with youth during the Halloween weekend. 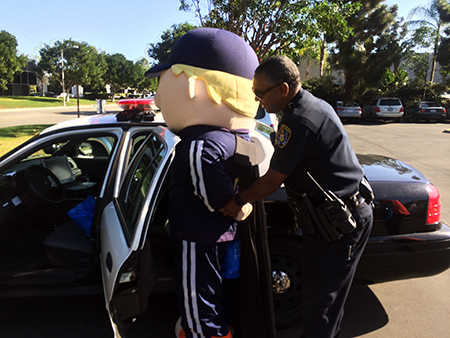 Officers shared that this type of outreach helps build trust within the communities they work in so Upper Deck is very proud to help them out there. 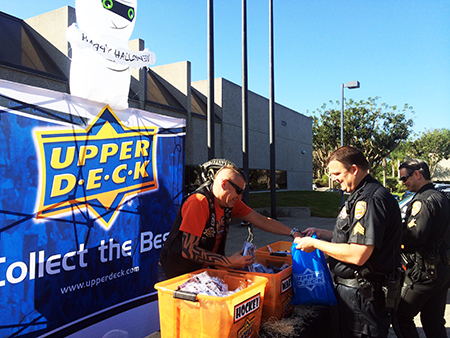 Trick or Trade is a great event where UD shares thousands of packs with local law enforcement. 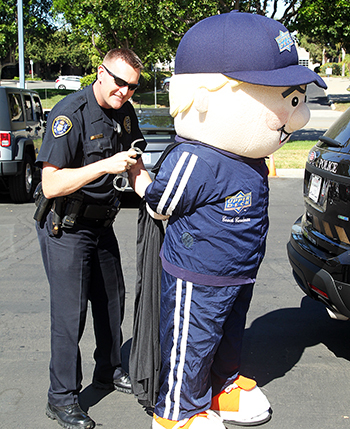 Everything was going great until Coach Cardcula, who was so thirsty from handing out so many packs, tried to grab a drink from one of the officers. And then this happened! Enjoy the Halloween season fans! 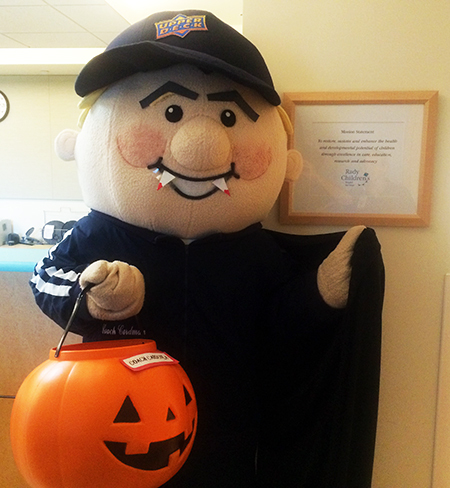 Be safe and remember, TRICK OR TRADE!